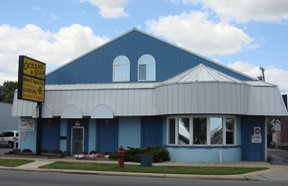 Oceans and Seas inc. is a retail tropical fish, reef, reptile, and supply store located at 26085 Gratiot, Roseville MI. We have a huge selection of Fish, coral, and other creatures for the marine and freshwater aquarium hobbyist. We are minutes from all areas of metro Detroit. We always have something new and unique. Our suppliers send us new and interesting items weekly. We are the first to get many items of limited availability, so check with us first! We try to provide interesting specimens because we are hobbyists ourselves. We have been serving our customer with excellence in metro Detroit for over 40 years! Come on in, and let us impress you! Since 1972 we have been providing the best in aquarium products and services. We buy unique corals, fish, and many other items in large quantities. This allows us to lower our prices for you. We would not have remained successful without the loyal customers that return year in, and year out for our superior products and knowledgeable staff. We are proud of our history and continue to provide the best methods to insure your success as a hobbyist. We have over 4000 gallons of marine tanks on display as well as over 2500 gallons of fresh water displays. We maintain this large display so that we can offer the best selection to our customers. We are constantly updating and recently expanded our stores space to better serve our customers. We pride ourselves on our ability to obtain "rare" or "hard-to-find" species. Not only do we receive these rare species, but we also ensure their health (as well as other fish species) by placing them into our holding tanks. A visit to our store is like a mini vacation. A glimpse into reefs that are teeming with life, and interacting knowledgeable staff will please any hobbyist, from amateur to breeder! Stop in, you won't be let down by your experience with us! The staff at Ocean and Seas Inc.
Oceans and Seas is proud to announce that we have been certified to carry the premium line of products by Seachem. Aquavitro products are available in stores only and can't be purchased on the internet. For almost three decades, Seachem has been a company rooted in sound science. Their experience in the hobby and educated staff of chemists and biologists are part of the package when you purchase Seachem products. All of their employees are hobbyists who maintain tanks at home and at the office. Seachem has over 100+ years of combined experience in the hobby to draw on.